Each of us has a story, and mine, though different from yours, is not an extraordinary tale. I was raised in the Deep South by a set of parents who instilled in their daughters, the importance of a strong faith, the rewards of hard work, the true beauty of honesty in all things, and the importance of family. Those values helped me to become the person I am. Although, I must say it has taken me many years to connect with that person. I have held many different jobs over the years from corporate to builder to teacher. Perhaps you have too. As I reflect on all the titles I have held one thing rings true through each of them – I enjoy working with people. From working in the customer service field, to being an administrative assistant, to a high school teacher, every one of these positions has allowed me to build relationships with both external customers and internal customers. Problem solving, negotiations, and teaching were aspects of all the jobs I have ever had. The other thing that I enjoyed about all these jobs was that in some manner I was helping people. But even in these jobs that help was limited to what the business would allow. So, even then there was something missing. Perhaps you have been feeling the same things. There has to be more than this. Eventually, I left teaching, my last job. I relocated to be closer to my oldest daughter and her family. I felt I was missing a great deal of my grandchildren’s growing up. So began another transition, the search for another job, and the search for who I truly was and what gifts I had that would allow me to fulfill my desire to help others. 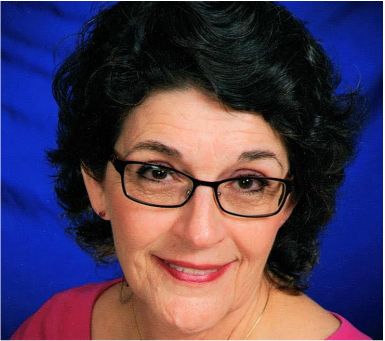 I've always been healthy so for me Reiki was not so much about my physical well-being, but about my own connection to the Universe or God. I've been on this journey for the last couple of years, and even on this journey I have noticed that I attend to myself and my care more. I eat a more healthful diet, I do more exercise, and I have learned to meditate. Through meditation, I have faced many ugly things in my past -- hurts, disappointments, rejections. I have learned to forgive others, and more importantly, I have learned to forgive myself. Reiki has been a wonderful thing for me to learn. And it is a way for me to help others on their journey. I have added to my services Akashic Record reading, and Light Language another modality. These are ever expanding and changing as the needs of our turbulent world require more and more our own ability to find the peace within. 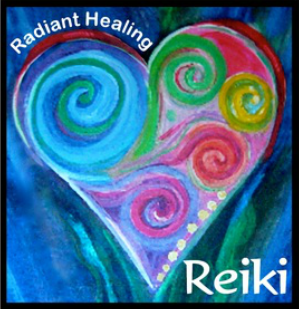 These are the things that Reiki Radiant Healing currently offers. Sending you Love, Light, Peace, and Joy as you navigate your own path to enlightenment.